← Slip, Slop, Slap – Summertime means Sunburn Time! Bring out the summer promo gear to protect your clients! Boo! It’s Halloween, one of the best days for giveaways, not only for kids. Halloween themed promotional products are great for promotions that see customers dropping by in your store in full costume to receive a free gift as a treat or sampling promotions on the street as well as gift with purchase campaigns. So get into the mood with our top new and classic festive promotional Halloween gimmicks. 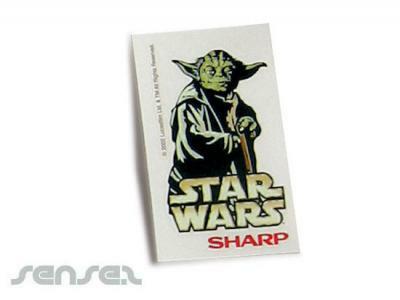 Custom promotional tattoos are ideal for cheap promotions! Make a tattoo in your desired design to look like a real wound. The wound temporary tattoos are totally safe and yet give you a realistic-looking stitched-up injury. They are a fabulous addition to any Film, Fancy Dress or Halloween promotion. 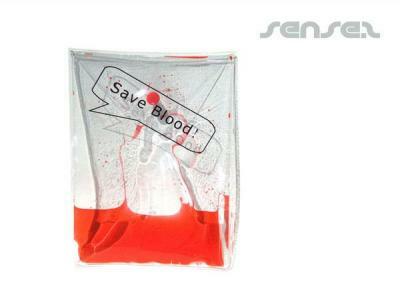 Liquid filled bags with blood coloured red liquid for scary effects are ideal for halloween promotions. 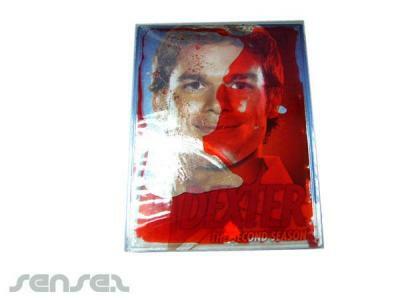 Have blood looking liquid inside your choice of bag or envelope or DVD cover to help sell your message or Halloween event tickets! Custom branded packs with Jelly babies, smarties, chocolates or lollies are a tasty, yet a powerful reminder of you. Custom make your own Halloween Rock Candy with orange flavour coat and a little bat inside! A delicious way for people to get their mouth around your brand! Promotional trick or treat lollies are really great for any Halloween promotional campaign: you can communicate to people of all ages, demographics and geographics! 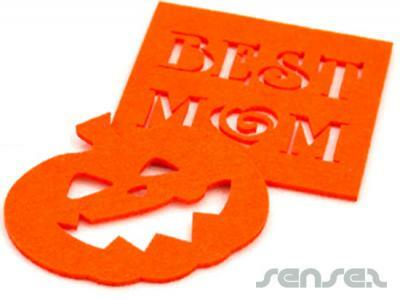 Promotional Felt Keyrings in pumpkin, ghost or skull shape, it’s up to you! Let your creativity run wild, custom shaped felt keyrings are a contemporary and a cheap keyring option that can be custom shaped at a very small quantity. The felt coasters and keyrings are made of environmentally friendly recycled non woven material and make a great surprise in any Halloween goodie bag! This entry was posted in Latest News, Marketing Ideas, Uncategorized. Bookmark the permalink. Get creative and welcome summer with exciting promo products!